Update your weekend wardrobe with this bold stripe blouse. 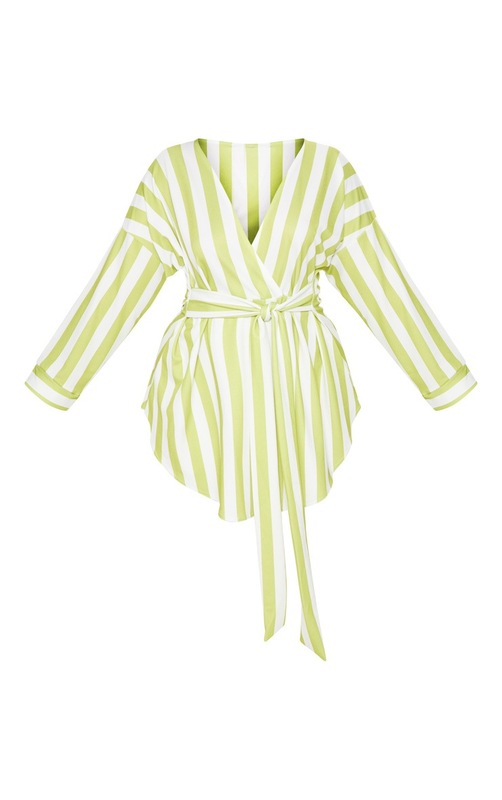 Featuring a lime striped material, a wrap style with a tie waistline and a plunging neckline. Team it with some wide leg trousers and heels for a look we're loving.